As every year the International Tourism Fair (ITB) in Berlin was an importan t date for more than 100,000 tourism professionals and around 60,000 thousand visitors. The Fortified Churches Foundation presented the landscape of fortified churches and found many new stakeholders and interested tourists. 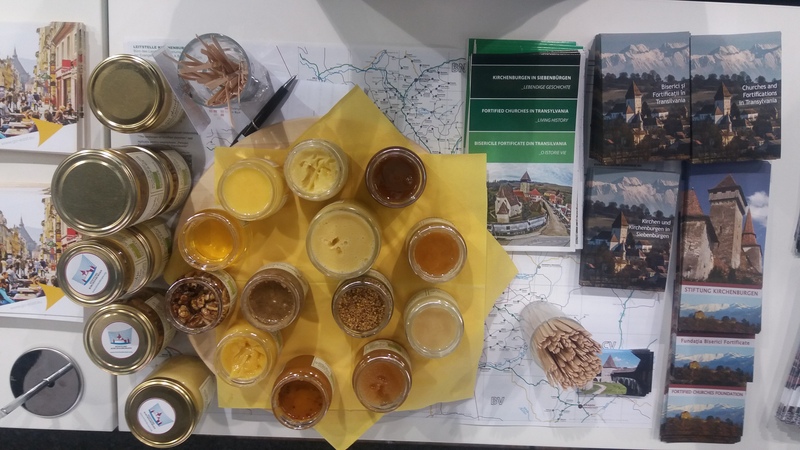 The Foundation shared a booth with the travel agency “Siebenbürgen Reisen” from Mediaș and brought along ecologically produced honey from Willy Tartler in Hamba to give everyone who passed and stopped an authentic taste of Transylvania. Tourism expert Ruth István: “we have taken part in the world’s largest and most important tourism fair for the seventh consecutive year. Nowhere else do we have the great opportunity to meet potential tourists and travellers and to get in contact with new tour operators.” The Foundation’s newest booklet “Churches and fortifications in Transylvania” was especially popular among the visitors. On the “Romanian Evening” on 8 March the Romanian Tourism Secretary Mircea Titus Dobre, the Romanian Ambassador in Berlin Emil Hurezeanu and Chairman of the Foundation’s Support Associations Sarah Hanini as well as many other guests were welcomed on the fair ground. 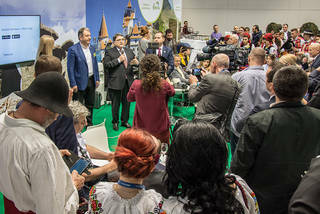 Of the fifty booths in the Romanian sector the majority were representing Transylvania with several tour operators, associations from Bistrița, Sibiu, Cluj and Brașov. 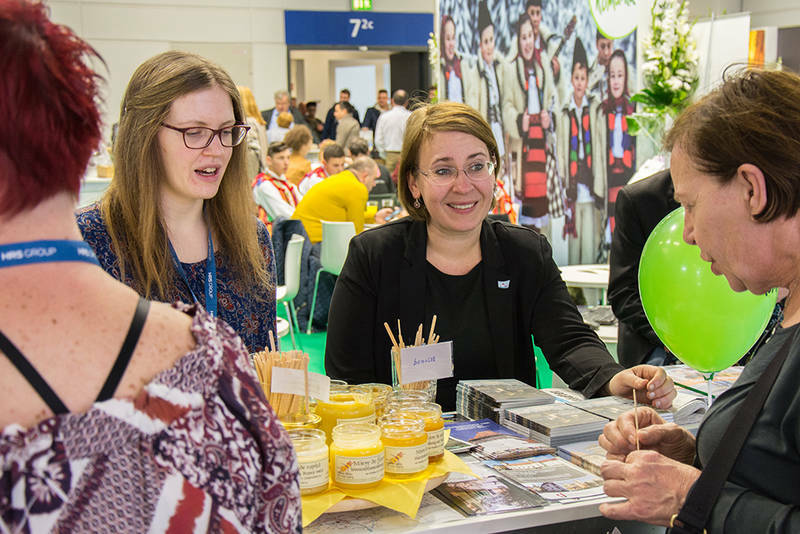 Despite the strikes on the Berlin Airport the ITB 2017 was a great success: on the 5 days between 8 and 12 March more than 10,000 firms from 184 countries presented their regions and products at 1,092 exhibitions stands. Covering an area of 160,000 square meters the newest products and trends of the global tourism sector were introduced, a positive result for the organizers. According to official statistics around 5,000 accredited journalists from 76 countries as well as 450 bloggers from 34 countries reported on the event. 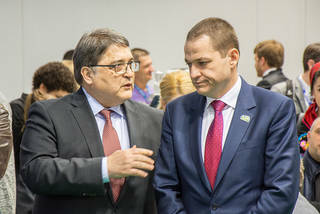 The fair was once again a meeting point for international and German politicians and diplomats. 110 official Delegations, 72 Government Secretaries, 11 State Secretaries, as well as 45 Amb assadors from all around the globe visited the fair this year. The Fortified Churches Foundation is planning to take part in next year’s ITB from 7 to 11 March 2018.